When deciding on which refrigerator to purchase, you may run across some terminology that is unfamiliar to you. We have compiled a list of frequently used refrigerator features and terms to help you make an informed buying decision. 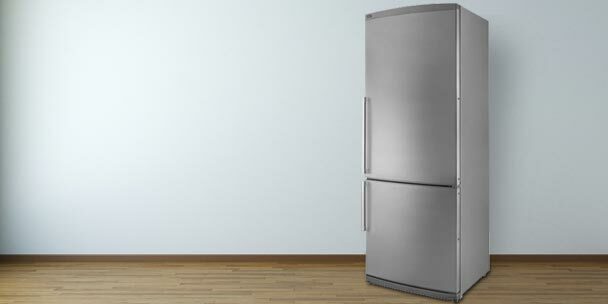 ADA Compliant — ADA compliant refrigerators meet the established requirements for use by a person in a wheelchair. Adjustable Shelving — The refrigerator provides multiple grooves which allow you to easily slide out the shelves and place where needed. This will provide optimal spacing for all your refrigerated goods. 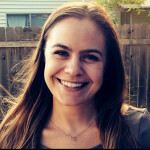 Adjustable Thermostat — An adjustable thermostat control allows you to find the best temperature setting for your needs. 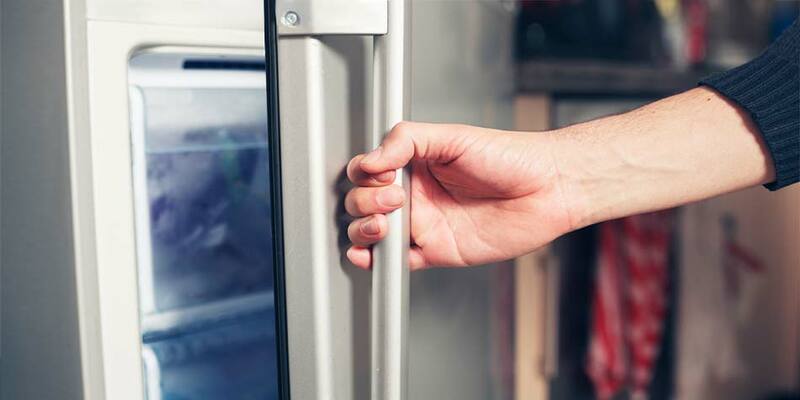 Antibacterial Coatings — A coating inside of the refrigerator that provides a more hygienic environment for your food storage. Auto Defrost/Cycle Defrost — This type of unit has a feature that prevents the build-up of ice within the unit. 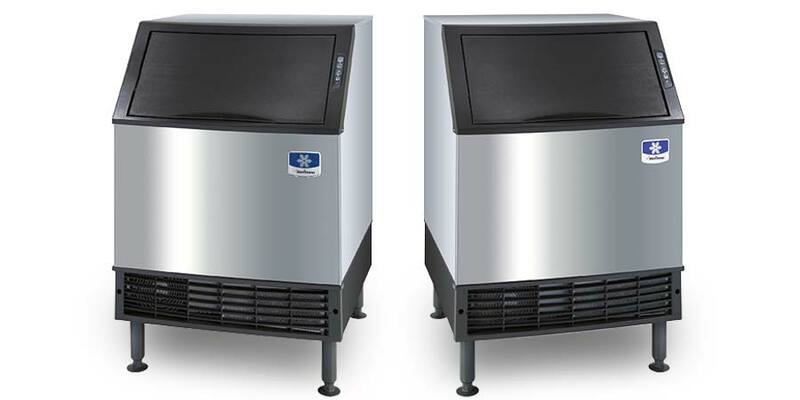 These units run through a defrost cycle that briefly adjusts the temperature of the unit to melt any build-up. Built-in — A built-in refrigerator (also known as an under counter refrigerator) is designed to be built directly into cabinetry. The compressor vents hot air through a front vent in the kick plate of the unit so it does not need as much space around it unlike its freestanding counterparts. 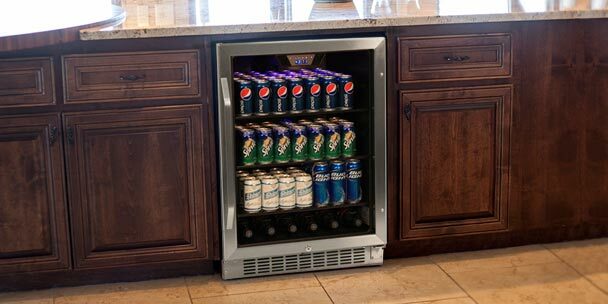 Built-in Beverage Holders — For storing cans or 2 liter bottles, this feature is usually built into the door of the unit. Built-in Icemaker — An icemaker that is built into your freezer and directly connected to your water line to make ice cubes. Can/Beverage Dispenser — In door storage that holds cans. Commercial Rated — Commercial rated refrigerators are also known as NSF approved (NSF stands for National Science Foundation). Commercial refrigerators have more powerful compressors and better insulation than their residential counterparts. They are built this way to accommodate the door of the unit being opened more often than a residential unit. Cubic Feet — The measurement used to identify the internal capacity of your refrigerator. Crisper Drawer — The crisper drawer keeps the humidity in the drawer higher than the rest of the refrigerator so that your produce will stay fresh longer. Custom Panel — Some built-in models are manufactured with a stainless steel frame that allows for a custom panel to be attached (typically ¼”). A custom panel is made to look like your cabinetry so that it is not apparent that a refrigerator is behind it. Dairy Compartment — A storage compartment in the refrigerator designed to maintain ideal temperatures for storing dairy products, such as butter and cheese. Dial Thermostat — A dial knob that allows you to change the temperature of the inside of your refrigerator. Digital Display — An easy to read screen that displays information such as time and temperature. Digital Thermostat — A screen that sets and displays the temperature of the inside of the refrigerator. Door Bins — Door bins provide extra contained door storage commonly used to store condiments. Door Gasket — A flexible strip of rubber that is attached to the inside of the door to form an air-tight seal when the door is closed. Energy Star Label — The Energy Star label is a symbol designated for products that have been tested and meet energy efficiency standards established by the EPA. Refrigerators that meet the Energy Star label are required to use about 15% less energy than non-Energy Star models. Flush Back Design — This type of refrigerator does not have a compressor, coils, or other hardware protruding from the back of the unit allowing for the unit to fit flush against the wall. Freestanding — A freestanding refrigerator can stand alone and is not intended to be built-in to cabinetry. For this type of unit, you need to allow for 2-3 inches of space on the sides and top and 3-5 inches in the back for the unit to cool properly and not overheat. Freezer Compartment — A small cooled storage area held at or below 0 degrees Fahrenheit used for preserving and storing food in compact refrigerators. Ice Dispenser — A convenient feature located on the outside of the door for easy access to dispense ice. Integrated Handle — The handle groove is integrated into the door of the refrigerator and is not visible from the front of the unit. Interior Light — A small light that allows you to see inside the appliance. This is a great feature to consider depending on how well lit the room where the refrigerator is located in. Internal Storage Drawers — Drawers that provide dedicated storage space for meat, cheese, or vegetables. Leveling Legs — Leveling legs screw into the bottom of the refrigerator allowing you to adjust the height to ensure your refrigerator is level. Locks — A small key lock located on the front door of the refrigerator provides security to ensure your items are protected inside. Manual Defrost — This unit does not have a defrost cycle and must be unplugged to let any ice build-up melt. It is recommended to manually defrost this refrigerator outside to prevent any water damage to your home or office. Multi-zone Cooling — Multi-zone cooling allows 2, 3 or more independent controlled temperature zones. 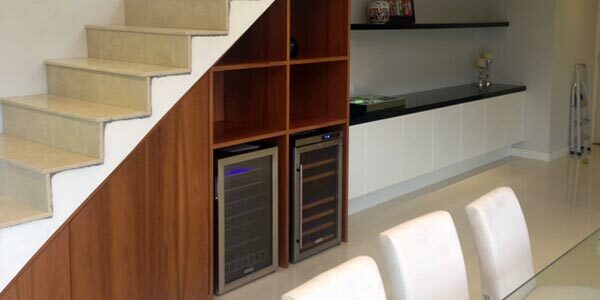 This feature is mainly used in wine and beverage refrigerators. Probe Access Port — A feature offered in medical/lab/pharmacy refrigerators. This is a manufacturer drilled hole which allows a wire from a temperature probe to be fed to the inside of the refrigerator so that temperature readings can be taken. Reversible Door — A reversible door allows the door to be hinged either on the right or left side of the appliance. Sliding Shelves — Sliding shelves have the ability to slide out from the unit allowing easy access to items on the back of the shelf or the ability to remove the shelves for easy cleaning. Spill Proof Glass Shelves — Spill proof glass shelves have raised edges that create a barrier to contain spilled liquids. Typically these shelves are made of tempered glass that is stronger and safer if it happens to shatter. Temperature/Door Alarms — A door alarm sends out an alarm signal if the door is left open. This is commonly found in medical refrigerators. Thermoelectric — Thermoelectric refrigerators (also known as Peltier coolers) use thermoelectric technology to cool the unit. This unit does not have a compressor and instead uses cooling nodes to pull the heat out of the unit and therefore cool it. This type of unit is quieter and takes less energy to operate than its compressor based counterpart, however, they can only achieve temperatures’ 20 degrees below the ambient room temperature. My name is Pam and I like pink. I live in in Austin, TX with my geriatric dog. For me nothing beats a good story, at which I usually laugh way too loudly.